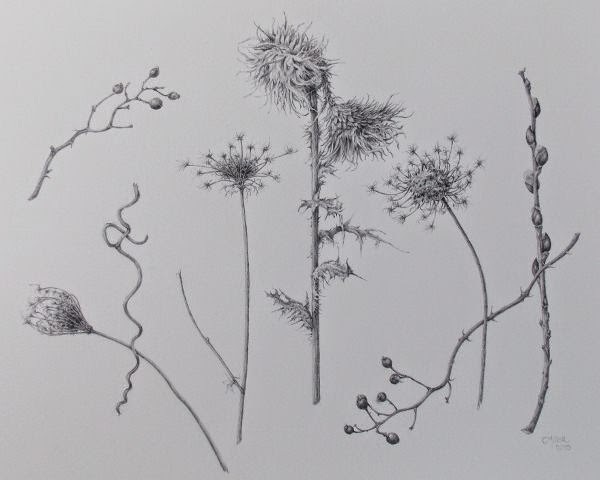 Cheryl Miller ~ Botanical Art: "From a Late Winter's Walk"
The subjects for this page of botanical studies were collected while taking a walk in the field behind our home. These so called "weeds" were so striking set against the covering of snow. One of the things I love about botanical art is seeing the beauty in the intricacy of the ordinary. "From a Late Winter Walk" ~ graphite ~ 16"x20"